His breath-taking innings has given rise to talks of a possible comeback for West Indies for whom he last played October 2016. With the World Cup just over a month away, provided his maintains his form, Pollard could well be on his way to England for the marquee tournament. Unfazed by the talks, he just wants to make the most of his ‘god-given’ talent. With several West Indies stars doing well in the ongoing IPL and add to it the recent results against England at home earlier this year, the former two-time World Cup winners are being touted as one of the sides to watch out for if not the favourites. Pollard feels West Indies can present a strong challenge at the World Cup that gets underway from May 30. “Yeah, of course you can say that. 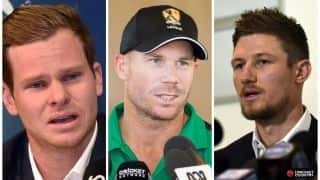 But again, as I said that’s why there’s people…we have a new chairman of selectors, there’s a new president of the cricket board, and as I said you take it as it comes. Last year, you might not have been asking me that question. Yes, I scored runs tonight so all sorts of questions will come but for me it’s just about enjoying cricket and doing my best with my god-given talent,” he said. 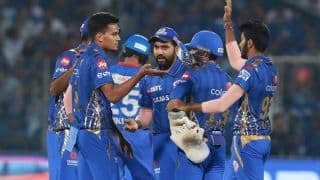 Despite controlling KXIP batsmen in the early stages of the match and then in the middle overs, MI bowlers lost their way in the late stage when they were thwacked all over the park. Pollard, the stand-in captain, defended his bowlers saying the pitch was difficult to bowl on. “Was a difficult pitch to bowl on and good to bat on, so we did well with the ball after the start they got. We did pull things back in the middle overs a bit but lost the plot at the end. Again, can’t be harsh on the bowlers. We finished on the right end of the result and thanks to God for that to,” he said. 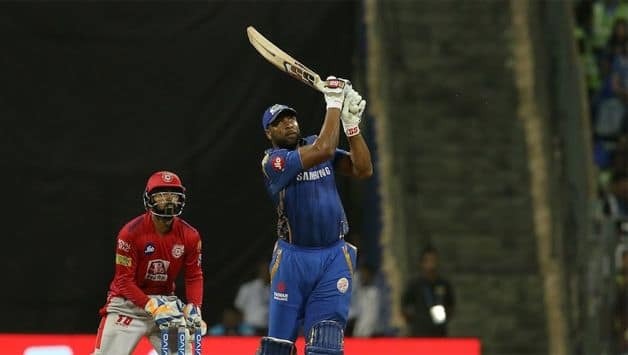 Despite his match-winning knock as the leader, Pollard will have absolutely no qualms in handing back the team’s rein to Rohit when he returns to the Playing XI. “Obviously, Rohit is the captain of the team and it was only a precautionary measure for the team. He should be back in the next game. 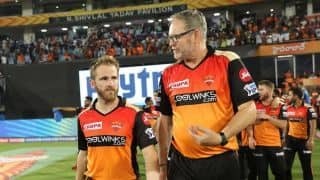 I would gladly give it back to him and field at the boundary, while also thinking of what to contribute to the team,” he said.